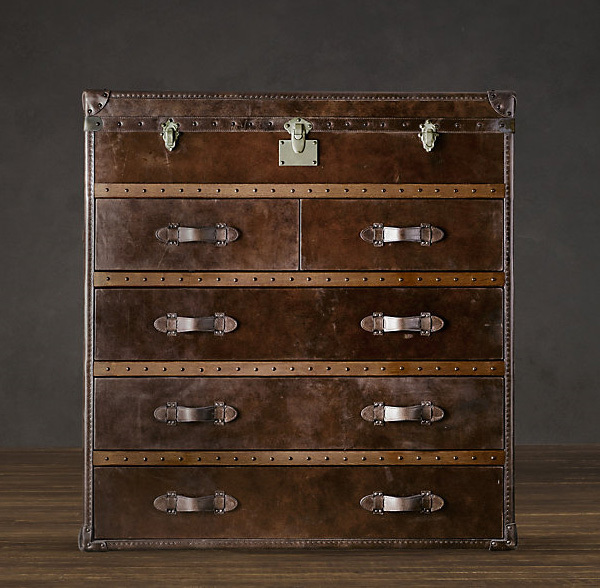 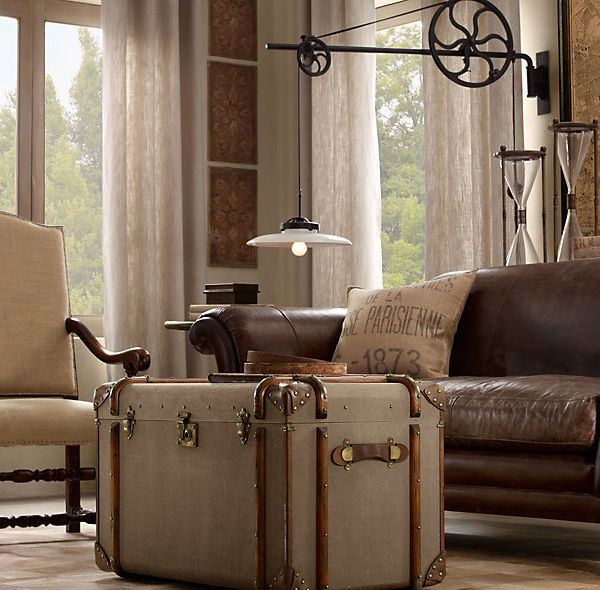 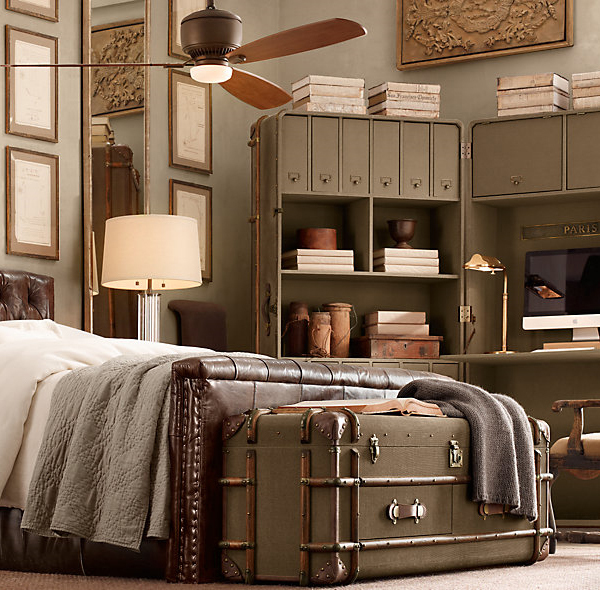 Checking out Restoration Hardware’s trunk furniture leaves us with a bunch of travel inspired vintage interior ideas. 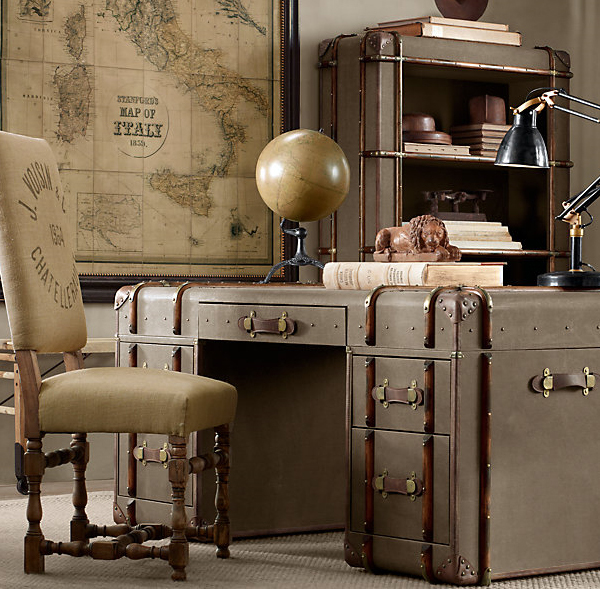 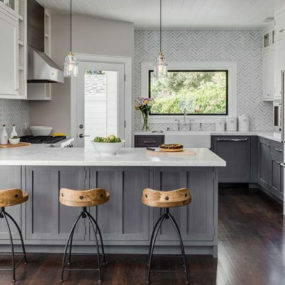 A travel trunk used as furniture in an interior space can be very versatile and chic – especially when they look amazingly vintage, like these. 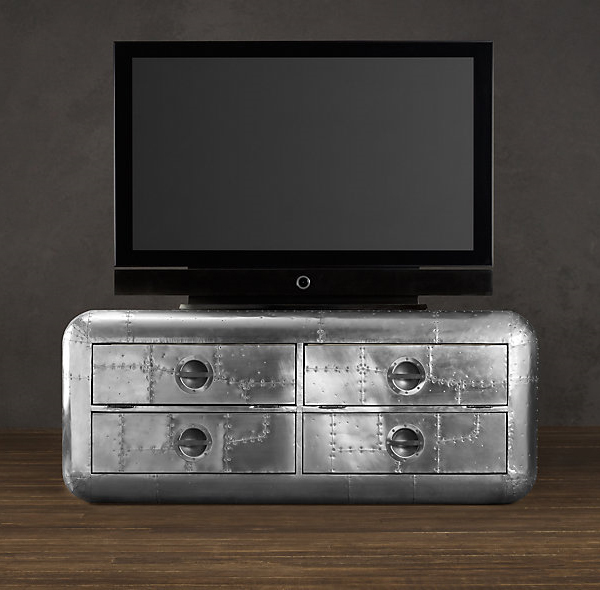 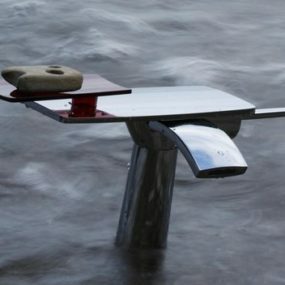 It could be used as a coffee table, an end table, a tv stand or even a seating solution – and you can store stuff in it. 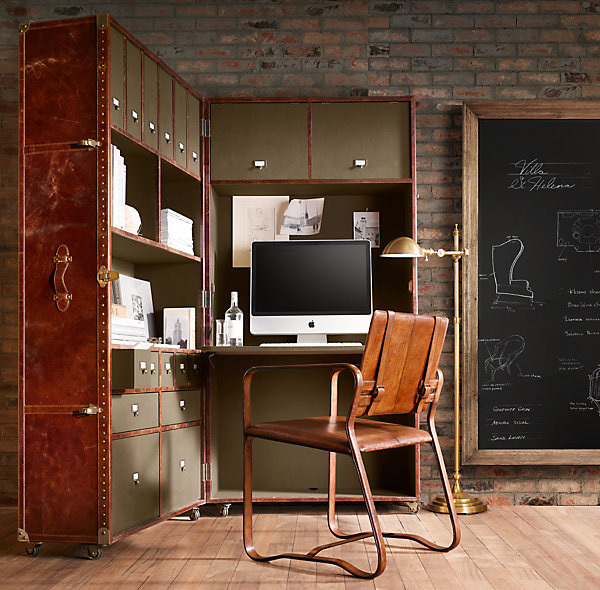 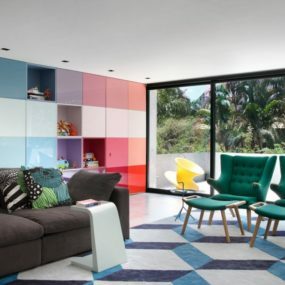 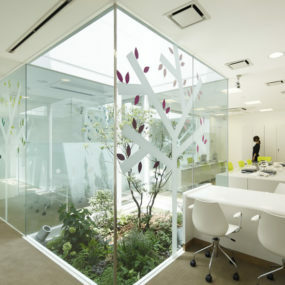 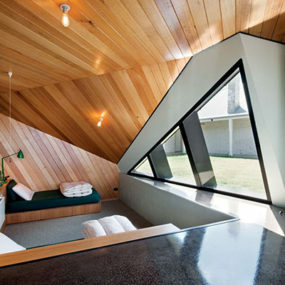 Plus, depending on your decor scheme, they can suit any room, from your home office to your bedroom. 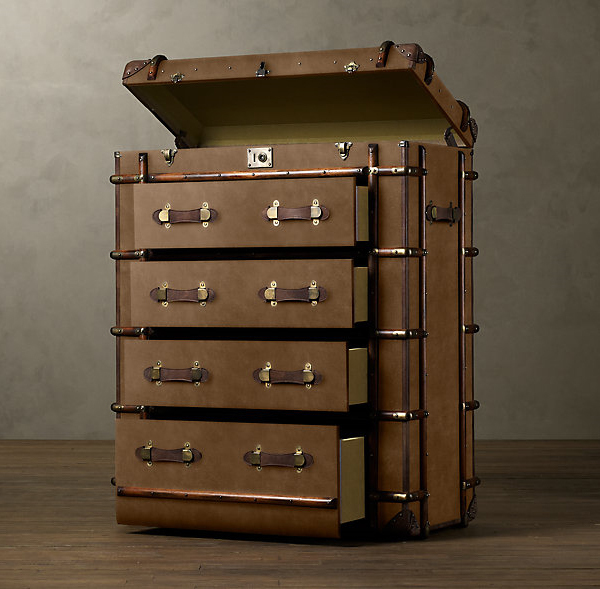 We love the look of these travel trunks and the impact they have on their environment. 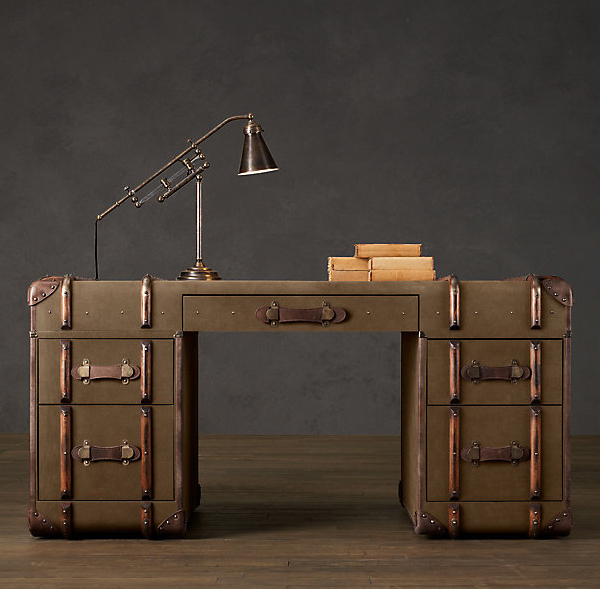 How great is that desk?